In this project, AlphaNDT has provided RT, UT, MT, PT for the structures of leg structure, cantilever, drill floor, jackcase of the rig. The work is scheduled to finish at the end of year 2011. 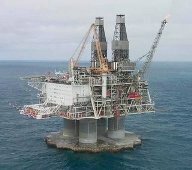 On March 2010, AlphaNDT supply NDT for Hook-up and Comissioning of WHP-B Topside at Block 15-1 offshore Ba Ria - Vung Tau. QIS-ALPHANDT Consortium provide RT, UT, MT, PT services for the whole fabrication of jacket, topside, helideck, piping, pile, boatlanding, flare boom.